Well, it was back to playing with some more of my new toys this weekend, and one of the thinlit sets that I fell in love with when I first saw the Occasions 2017 Catalogue was the Up & Away Thinlits Dies**. Who doesn't love the look of Hot Air Balloons? And these are so versatile and varied! 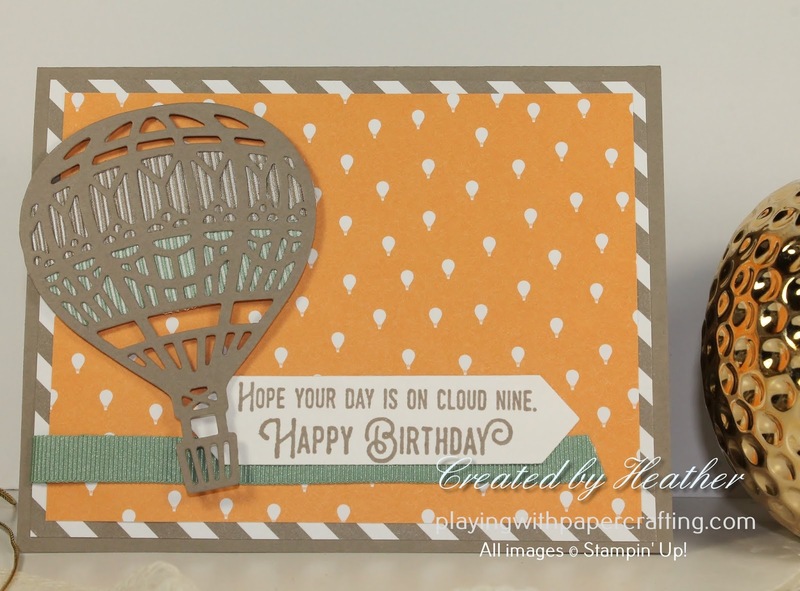 You can use the Precision Base Plate, like I have done here to get a super detailed die cut, or you can use the Lift Me Up stamp set ** to stamp a hot air balloon and use one of the two sizes of framelits to just cut around the outline. 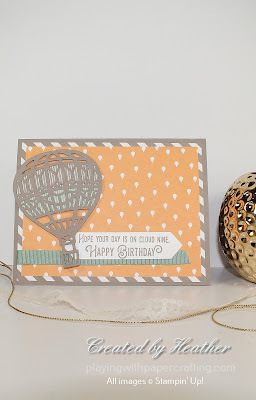 Or you could build a hot air balloon, cutting the different sections out of different coloured cardstock! Plus you have accessories like clouds and a heart and love notes with the framelits to go with them, and I absolutely love the script of the sentiments! And you can get the stamp set and the thinlits as a bundle and save 10% so you can't go wrong! I decided to use them on this week's Freshly Made Sketches' Challenge!